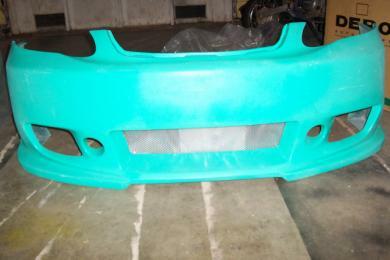 2003-2006 Toyota Corolla body kit brand new still in plastic. Paid $750 for it and was going to put it on my wife's 2005 corolla but her car was totalled in August. Body kit wasn't on the car. Got the body kit a week before the car got totaled. Never installed. I'm taking a big loss, but I need to sell it. So, I will take $375.00 O.B.O to get it out of my garage. Like I said the kit is brand new still in the plastic and this is very good deal. If interested or have any questions please call me at (707) 301-8658.